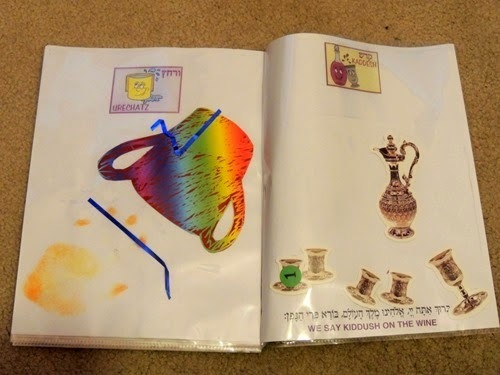 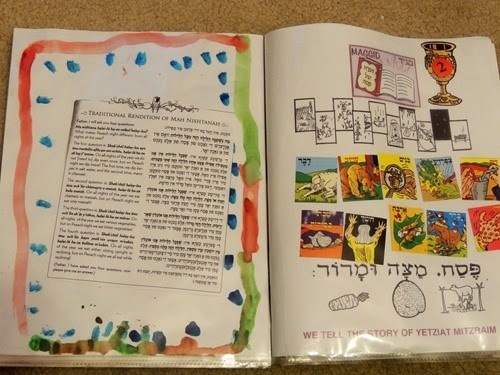 We say kiddush (the blessing) on the wine / Wash our hands (pages go from right to left). 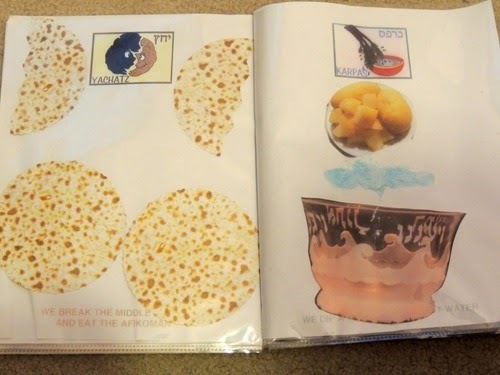 We dip a vegetable in salt water / We break the middle matzah and [put away] the afikomen (dessert). 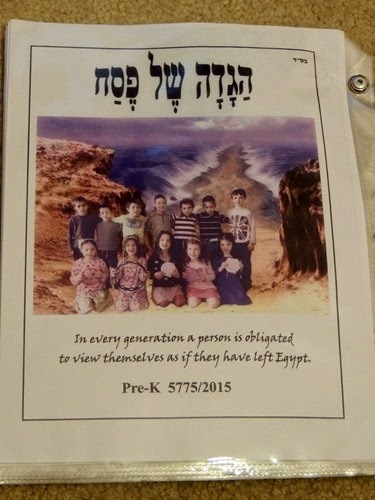 We tell the story of leaving Egypt. 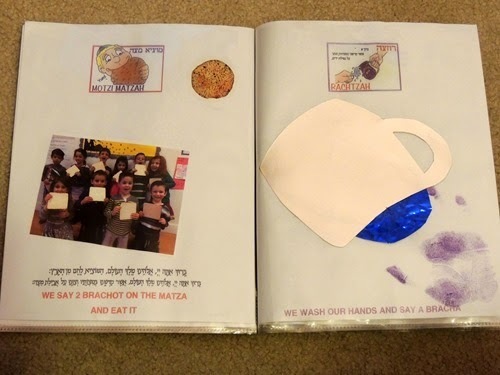 We wash our hands and say a bracha (blessing) / We say 2 brachot (blessings) on the matzah and eat it. 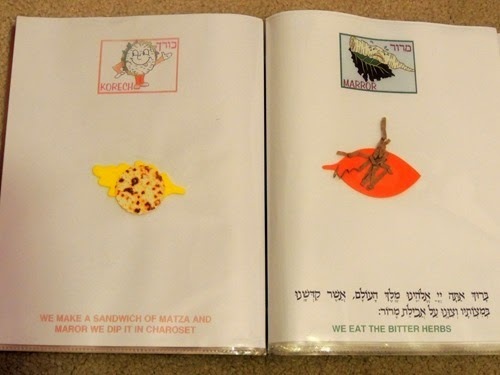 We eat the bitter herbs / We make a sandwich of matzah and maror (bitter herbs) and dip it in the charoset (mix of apples, nuts, and wine). 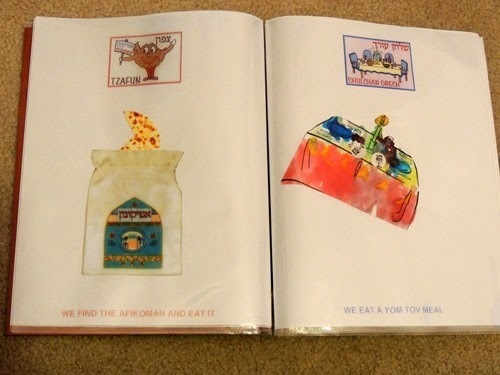 We eat a yom tov (holiday) meal / We find the afikoman and eat it. 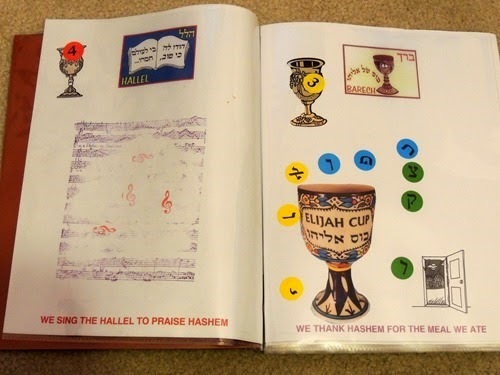 We thank Hashem (God) for the meal we ate / We sing the Hallel to praise Hashem. 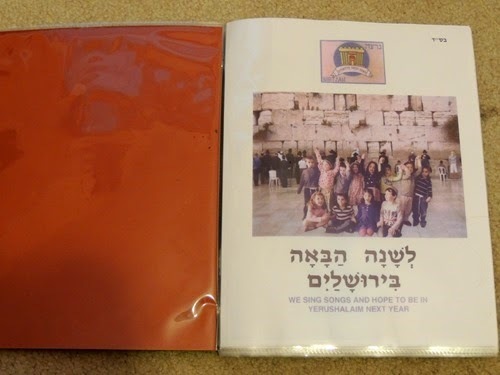 We sing songs and hope to be in Jerusalem next year.